It’s time to end the debate. What’s the best stage of childhood? Your sister says it’s 9 months, your mother-in-law says it’s 18 months and your neighbor swears that age 4 is the best. Well, guess what? They’re all right. Sort of. The best stage is whatever stage you’re currently in. Not the answer you were hoping for? Are you in the middle of newborn cluster feeding and running on 2 hours of sleep in the last 4 days, can’t remember the last time you took a shower or had a conversation with someone other than yourself, hoping for some glimmer of hope that the best stage is right around the corner? Or maybe your precious little peanut just started walking after weeks and weeks of coaching (which you’re starting to regret), and now NOTHING in your home is safe with even the most innocuous of things becoming objects of affection – seriously, what’s so exciting about boxes of tissues and rolls of toilet paper? Perhaps your tiny tot has mastered potty training (you don’t even know what to do with all that extra cash formerly spent on diapers), she can pour her own cereal and get herself dressed, but she never. stops. talking. That ends soon, right? Slow Down. Enjoy every minute. We have this weird ability as parents to look back and remember all the wonderful things about every stage along the way. 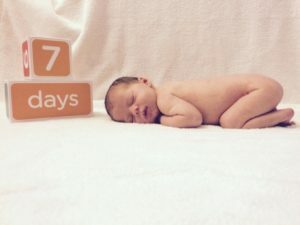 The intoxicating newborn smell (c’mon, what IS that and can we please find a way to bottle it up?! ), the first social smile (no really, it’s not gas this time), the uttering of a first word (sorry mom, it won’t likely be mama), first giggle, first food, crawling, walking, talking…there are so many things to enjoy at every stage. We forget about laboring for 30+ hours. We forget about the fact that we could barely walk but were expected to care for this tiny new human. We forget about how sleep deprived we were at 3 weeks, maybe even still at 3 years! We forget that we lived for years banging our knees on baby gates and cursing under our breath every time we tried to quickly grab something out of the cupboard, only to realize it was locked. We forget that it used to take us 2 hours to get out of the house to go anywhere because the diaper bag had to be packed, snacks had to be prepared, sippy cups filled and miss independent had to dress herself and put on her own shoes…shoes that took 30 minutes to find. We have to forget or we’d all stop at one child because who wants to go through that a second (or third, or fourth) time? Don’t waste time looking back or thinking ahead. Before I had my daughter I made a promise to myself that I would not waste any of her childhood wishing for her to be little again. I’m also not in a hurry for her to get to the next stage. Because by doing so I’d be taking precious time away from the fleeting moments of the present. And boy are they fleeting. A few months ago I thought to myself, “Didn’t we just bring her home from the hospital? 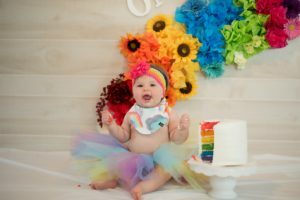 How is it already time to plan her first birthday party? 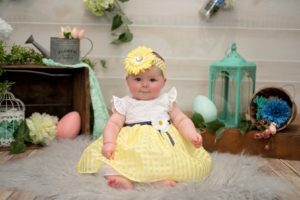 !” I’m not saying that I don’t get a little sidetracked when I come across her newborn photos and experience some heartache remembering those early days of new motherhood. And I do see my friends with school-aged children and think about how much fun it will be when my daughter gets to be that age and I can watch her eyes light up with excitement (rather than fear) when she sees Santa Claus. But looking forward to the future is not the same as wishing we were there already. 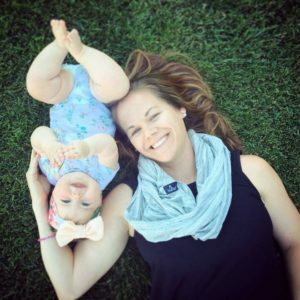 There are a lot of things I miss about having a new baby, and there are plenty of things I am looking forward to doing as my daughter gets older. But right now she deserves my best each and every day, and the only way to give her that is to focus on the present. Every day is a new opportunity to appreciate the little miracle that she is, because every child is a miracle. No matter how hard you wish and how much you yearn, you can’t slow down time nor can you speed it up, but you don’t really want to. Social media is flooded with hashtags like #TimeSlowDown and #StopGrowing. Seriously, there are over 1.5 million Instagram posts with #StopGrowing attached. Stop growing? Do you realize what would happen if your baby suddenly stopped growing? Just ask any mother who has experienced a loss in pregnancy or infancy and she’ll tell you that she’d give anything, ANYTHING for the opportunity to watch her baby grow. So enough with the #StopGrowing already. Watching my daughter grow has been the best part of being a mother. It’s like planting a tiny seedling and watching it blossom into a beautiful flower. It doesn’t have to be sad, in fact it’s not sad at all. Somewhere along the way society decided that growing up was something we should mourn. But it’s not, it’s something to celebrate. (And if you’ve got teenagers and need reminding, I’ll be happy to share my day with you, which included scraping poop off the couch cushions, saving Goldfish from going down the heat vent and sucking snot out of tiny nostrils courtesy of NoseFrida). 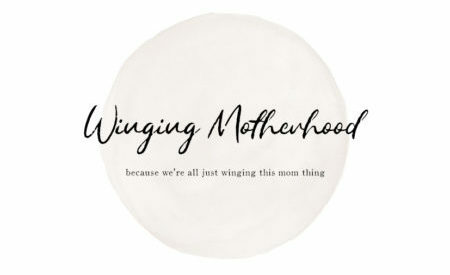 So moms (and dads), enjoy whatever stage you’re currently in. The newborn fog, the terrible twos, the treacherous threenager…enjoy the good, the bad and the ugly of it all. 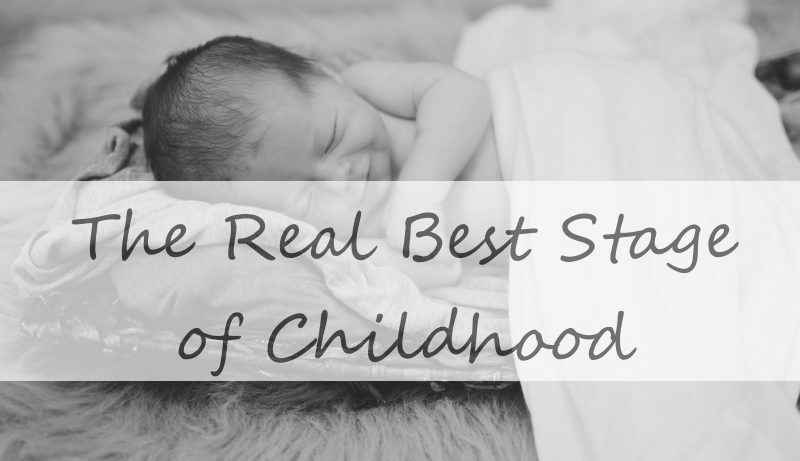 Because the best stage of childhood is the one you’re living. Right now. Today. Because yesterday already happened and tomorrow isn’t promised. What’s the best thing about your children’s stage right now? My daughter is almost two, and my favorite thing about this stage is how much she wants to learn and how much fun it is for her. She loves going to daycare and learning all she can. It’s such a blessing to have her in my life no matter the stage of development she is in.